In this episode of CS, we’ll take a look at something many of our listeners are familiar with; at least, they think their familiar with it – Evangelicalism. Not a few of them would describe themselves as Evangelicals. But if pressed to describe what exactly that means, they’d be hard pressed to say. And they have little to know awareness of the historical roots of the movement they are indeed a part of. // So, let’s start off with a little definition of terms. Evangelicalism is a global movement within Protestantism that crosses denominational lines. Instead of Evangelicals having a comprehensive and extensive list of doctrinal distinctives, they rally round a core of just a few. At the heart of their faith is a conviction that the Gospel, or Evangel, from which they draw their name, is that salvation is by God’s grace, received by faith in Jesus Christ’s atoning work. Salvation commences with a conversion experience called, being “born again.” They hold to the authority of the Bible as God’s Word and the priority of sharing the Gospel message. As a discernable movement, Evangelicalism took form in the 18th C. But it didn’t rise out of a vacuum. There were numerous trends that merged to for m it. Most important to Evangelicalism’s rise was John Wesley and the Methodists, the Moravians under the leadership of Count Zinzendorf and their community at Hernhutt, and Lutheran Pietism. As we saw in Season 1, Pietism emerged in Germany in the 17th C as a reaction to a moribund Lutheran church. It protested the cold formalism the institutional church had adopted under Protestant scholasticism. Pietists called for a faith that experienced a real relationship with God. It set high standards of piety for both clergy and laity. Pietism crossed all lines in terms of those who embraced it; from those who stayed in the State Church and followed the old rituals, to separatists who rejected such trappings. Pietism jumped its Lutheran hothouse to influence other groups. When it entered the Presbyterian realm in Britain, it took on a concern for Protestant orthodoxy, as well as an openness to revivalism, a tradition that went all the way back to the 1620s. Puritans added an emphasis on the need for personal experience of conversion to be a part of the church, as well as a dedication of individuals to the study of Scripture. With this involvement of Lutherans, Pietists, Presbyterians and Puritans, we’d assume High-Church Anglicans would have stayed far away. But the movement’s appeal attracted even some of them. They brought to the burgeoning movement of Evangelicalism several traits that would mark the movement. 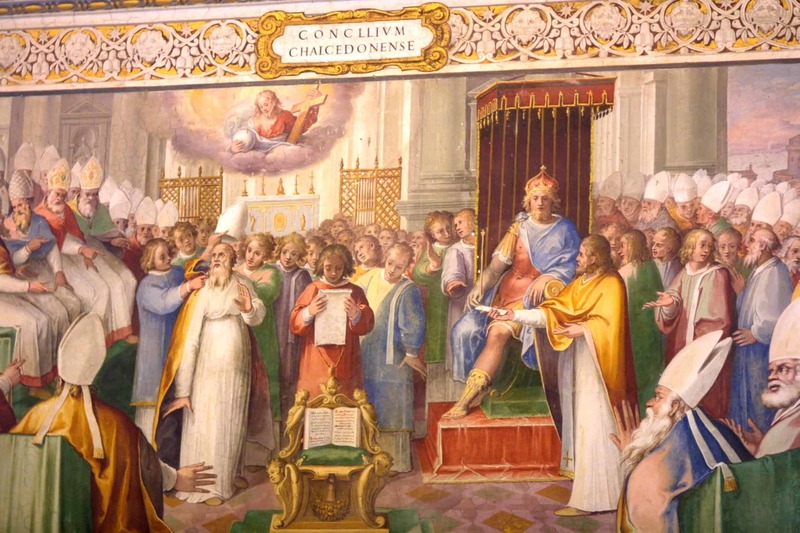 One was a concern for recapturing the essence of “primitive Christianity,” manifest mainly in imitating the ascetic practices of early Christians, as well as a more frequent celebration of Communion than either he Presbyterian or Puritans followed. Anglicans also encouraged the forming of voluntary religious societies and groups. It was in the 1730s when Evangelicalism emerged as a distinct movement. It was a product of revivals in Old & New England. While the Church had witnessed revivals before, those of the 18th C seemed more fervent and far reaching. It began with the First Great Awakening in the 1730s in New England. Then it hopped the Pond and broke out in England & Wales. This was the time of the careers of such famous revivalist as George Whitefield and the Wesleys. Pietism entered the Evangelical stream through several ports, but primarily through John Wesley, who was deeply impacted by the example of the Moravians. Established Christians and New Converts alike were emboldened with confidence and enthusiasm to share the Gospel, leading to the conversion of thousands more and the planting of hundreds of new churches. If we’re looking for the real dynamism that infused Evangelicalism and made it such a pervasive trait of Protestantism during the 18th & 19th Cs, we could say it was the conviction of those converted to the Faith that they’d really had a supernatural experience of salvation. Their conversion had not just gained them heaven after they died; it ushered them, then and there, into a new relationship with God that became the new center and ordering principle of their lives. And while pastors and other church leaders might have a unique role to play in leading the local church, each individual Christian had equal access to God without the need for the mediation of a priestly class or ritual. Each and every Evangelical felt a very real connection to God and owned a sense of their personal responsibility to apply themselves to the practice of their faith. In other words, the duty of religion for the medieval Christian was traded in for the privilege of relationship for the modern Christian. The dawn of the 19th C was a time of increased outreach both locally and abroad with several mission societies being started. The Second Great Awakening spanning the transition from the 18th to 19th Cs, was centered largely in the US. It boosted the ranks of Methodist and Baptist churches. Charles Finney was a major figure in this revival. 19th C Evangelicalism in England carried a distinct social justice flair. British Evangelicals bore the conviction that their Faith ought to be more than a privately held affair. To be real, it ought to impact the world for good. They became leaders in the movement for reform and the end of corruption in government and commerce. They led the charge for Abolition under such notables as William Wilberforce. Toward the end of the 19th C, that party within the Methodists who’d long argued for what they called “entire sanctification” started a Holiness Movement that separated itself from the rest of Methodism. While it was never popular in England, certain portions of rural America proved fertile soil for it. It was during the 19th C that an Irish-Anglican minister named John Darby popularized an emphasis on End Times Prophecy, a subject that had languished in obscurity for hundreds of years. This interest in the End Times was layered over Darby’s system of dividing history into different eras, called dispensations, in which God’s overall plan went forward with a different focus in the various dispensations. Others took Darby’s ideas and edited them to their own taste, but Dispensationalism proved to be a convenient way for people to better understand both the Bible’s story and how it related to history at large. It became a part of the emerging energy within Protestantism now called Evangelicalism. 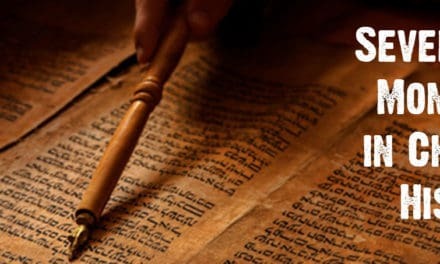 What kicked Dispensationalism into high gear was the publication of the popular Scofield Reference Bible, a King James Bible with a comprehensive set of notes that helped readers parse Scripture, along Scofield’s framework, that is. Through Scofield’s influence, Evangelicalism adopted a literalist view of interpreting Scripture. Notable figures for the last half of 19th C Evangelicalism are CH Spurgeon & Dwight Moody. These men began a trend in Evangelicalism to see the movement led & represented by well-known religious celebrities, whose fame was tied to their ability to preach to large audiences. Founded in 1812, Princeton Theological Seminary stepped into the role of being the intellectual center of Evangelicalism from 1850 to the 1920’s. Under the guidance of Charles Hodge, Archibald Alexander, and BB Warfield, Evangelicals were armed with an erudite defense of conservative orthodoxy in that face of the challenge presented by European Liberalism. When in the 1930’s, the governors of Princeton decided to open the school to Theological Liberalism, the conservatives left to start Westminster Theological Seminary. But the theological work of the Princeton theologians continues to shape the core of conservative Evangelicalism. Church h istorian Mark Noll, describes this as influence as including, a devotion to the Bible, concern for religious experience, sensitivity to the American experience, Presbyterian confessions, Reformation systematics, and Common Sense Realism, which we talked about in Season 1. Common Sense Realism was a push-back by several Scottish philosophers to the skepticism of David Hume. As Theological Liberalism pressed in to challenge the centers of Evangelicalism in the early 20th C, a reaction rose that came to be known as Fundamentalism. It drew its name from its insistence there were certain fundamentals that could not be negotiated, essentials of The Faith apart from which no one had the right to say they were a Christian. The main point of contention with Liberalism was over the inerrancy of Scripture. This became the main point of contention because Evangelicals regard God’s Word as the ultimate authority. Everything else flows from Scripture. Theological Liberals honor the Bible as a record of humanity’s progress. It’s instructive, but not ultimately authoritative. It’s ideas at points may be inspired and it is certainly inspirational, but no more than that. Human reason, aided by the scientific method, is a superior source of knowledge. Fundamentalists replied that not only is the Bible inspired, that inspiration extends beyond its ideas to its words. The Bible isn’t just the ideas of God filtered through bumbling scribes, it is the Word & words of God Himself, transmitted through human agents, who when they penned, infallibly reported what God wanted written. Needless to say, the contest between Liberals & Fundamentalists was fierce. It lives on to this day. Every decade or so, Theological Liberalism hoists its battering ram and makes another raid on the fortress of Evangelicalism’s tenacious clinging to Scripture’s Inspiration, Infallibility & Inerrancy. They batter the door of this Evangelical group or that denomination. And while mainstream Evangelicalism still adheres officially to the doctrine of Inerrancy, the long-range effect of the contest has been a softening round the edges, so that many Evangelicals are barely aware what’s at stake in the whole debate. Up to the dawn of the 20th C, Evangelicalism was largely a white church deal centered in North America and the UK. A major boon to the energy of Evangelicalism and a subsequent movement into world missions came about after the Welsh Revival of 1904-5. The Revival swept across Europe and reached into far-flung regions across the globe. The Azusa Street Revival of 1906 in Los Angeles birthed Pentecostalism which added even more spiritual energy and motivation to Evangelicalism. Following WWII, Evangelicals split between those who wanted to engage the culture and those who felt the best way to live was to withdraw. It seemed a reprise of the old Anglican argument between the Puritans and Separatists. In this case, the Separatists were the Fundamentalists while those who wanted to engage culture were mainstream Evangelicals. Many Evangelicals had come to regard Fundamentalists as narrow-minded moralists wed to traditions that were no longer relevant . While this is an oversimplification, let me illustrate this way . . . Fundamentalists had staunchly defended the doctrine of inerrancy, right? What they defended of course, at least in the popular sense, for the Fundamentalist on the street at least, was the King James Bible. THAT Bible was inspired & inerrant. So any other translation or version was suspect. Fundamentalists were determined defenders of The Reformation; they adored the Reformers, but were suspicious of more modern authors & theologians. That suspicion grew to be a kind of general negativity to the wider culture and society. The world was wicked, under God’s wrath; something to be shunned. The result was that Fundamentalists began to be viewed by society as misanthropes. They became the subject of jokes. Most Evangelicals saw what was happening to Fundamentalism and set another course. Called Neo-Evangelicals, they adopted a positive posture of engaging the culture through dialog and exchange. They intentionally backed down from the combative militancy that marked Fundamentalists. Instead of retreating to a theological ghetto where the only people they talked to were like them, they re-applied themselves to an intellectually-astute and Biblically-sound response to the issue facing society. They reasoned that the Gospel was a message of hope for All People, and needed to be shared in as many ways as possible; by deed, as well as in word. This led to a split between Fundamentalists & Evangelicals. Evangelicals came to regard Fundamentalists as something of an ugly cousin they wanted to avoid & disavow. 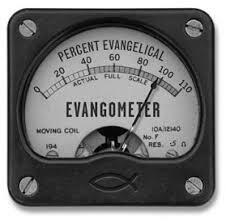 Fundamentalists regarded Evangelicals as sell-outs, wishy-washy compromisers more concerned with the world’s approval than God’s. Over time, the ranks of Fundamentalists dwindled while those of Evangelicals swelled. The Charismatic renewal of the 1960’s and early 70’s saw a resurgent Pentecostalism cross denominational lines. It even swept a number of Catholic churches. Until the Charismatic Renewal, most Protestant churches were affiliated in some way with a denomination. The Renewal saw large numbers of Christians who’d previously identified with their denomination, now identifying as a Charismatic. When local pastors and denominational leaders resisted the Charismatic Renewal, those church members who were part of the renewal often left to start new churches. They established independent, non-aligned or un affiliated works. So the trend of non-denominational churches exploded. They didn’t identify as Protestant so much as Evangelical because it best described their overall theological framework. As the number of non-denominational churches grew and aged, many saw a need for connection to a larger movement and began forming voluntary associations. They became a kind of non-denominational denomination. As the 20th C closed out and moved into the 21st, Evangelicalism faced a new challenge from it’s old nemesis – Liberalism. Once again Liberalism morphed into a new form called Post-modernism. If classical Liberalism assailed the doctrine of Biblical Inerrancy, Post-modernism went after Truth as a whole. Mark A. Noll, The Princeton Theology 1812–1921 (Grand Rapids: Baker Academic, 2001), 13.